The 20 item pick up. Start at one end of the house and go to each room and pick up 20 items. If a room doesn’t have 20 items to pick up or clean move on to the next room. If a room has more than 20 items don’t worry we’ll come back to that later. The 10 minute tidy up. Go back to the room that needs the most work. Set a timer for 10 minutes and clean in that room untill the timer goes off. After your done with your challenges you should see a big difference in your house. No chores today, today is family day! It’s the day before Halloween, so today we need to make sure we are ready…. Costumes are ready to go and candy is bought. Let’s do our best to make it a fun and special day. Today we will be carving pumpkins and roasting the seeds. Later I will make the kids hot dog mummys (will post that recipe later) and if we have time I would like to bake something (something with pumpkin). Break out some Halloween books or a Halloween movie. Have fun! You can do it! Good morning everyone, happy Saturday! Today I have a very busy day ahead. I have a soccer game to go to, a fundraiser for the Junior Diabetes Research Foundation (JDRF) and we still have to carve our pumpkins! The amount of time I have to spend on the house today is very minimal, but I will do my best. Have a wonderful day! You can do it! This last weekend the family and I went out to breakfast. My husband ordered Carnitas Hash. Neither one of us had ever tried this before but the waitress said that it was one of her favorites, so my husband decided to try it. He really liked it and asked if I could try to make something like that at home for him. This is what I came up with. 1 large potato (I microwaved the potato for 2 minutes before I peeled and diced it. This lessens the frying time of the potato.) peeled and diced. 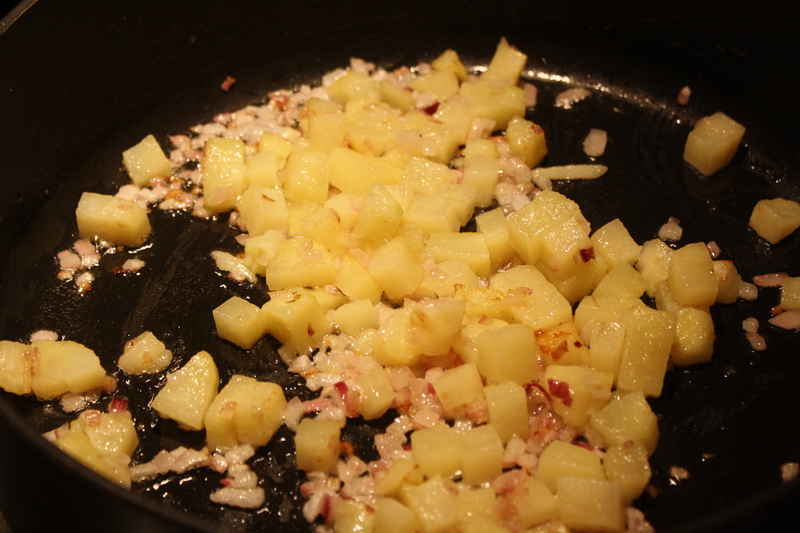 First I fried the potatoes and onion on medium high heat until they started to get a nice brown carmelized color. 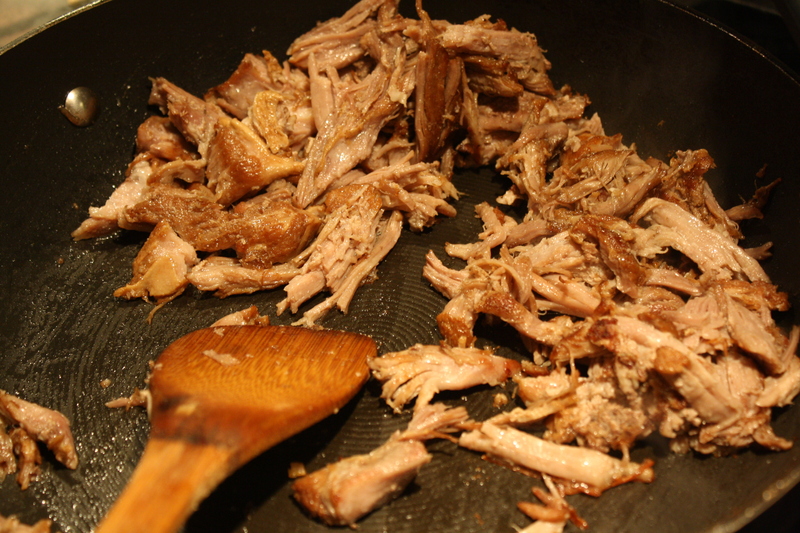 This is the point where I seasoned with salt and pepper (remember the carnitas comes seasoned so don’t over do it). 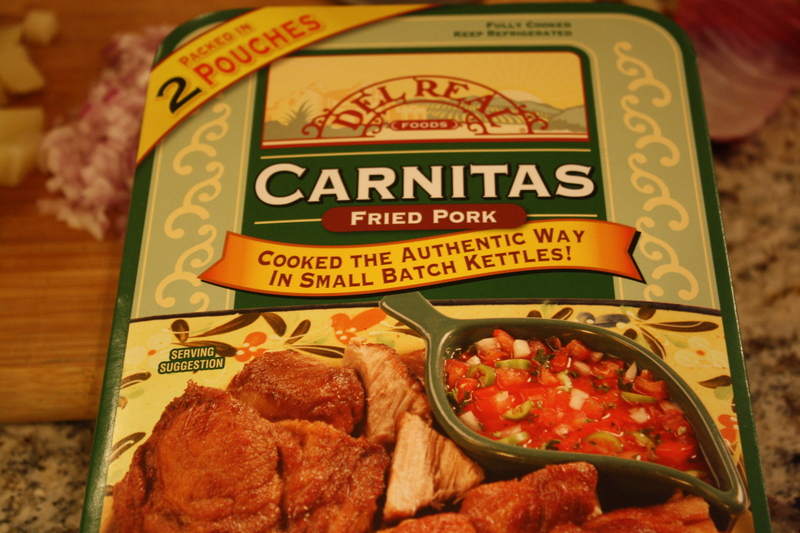 In a second frying pan I fried up the carnitas until it was heated through. 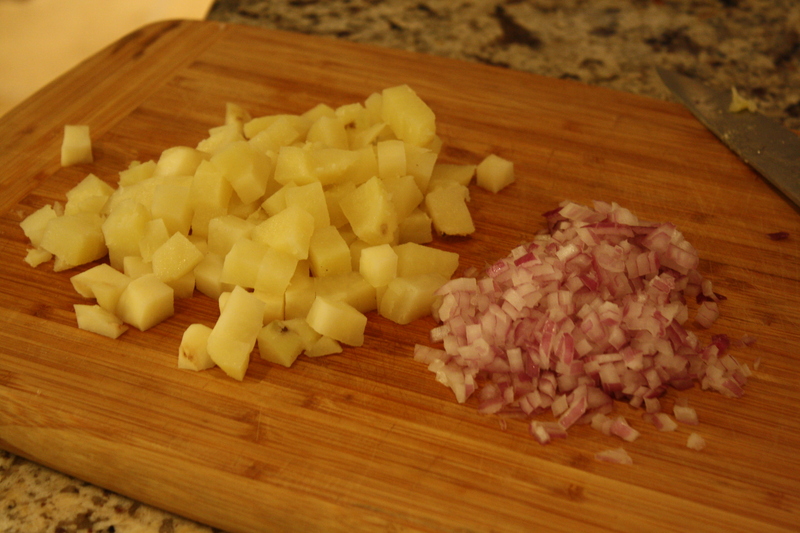 Then added it to my potatoes and onions. 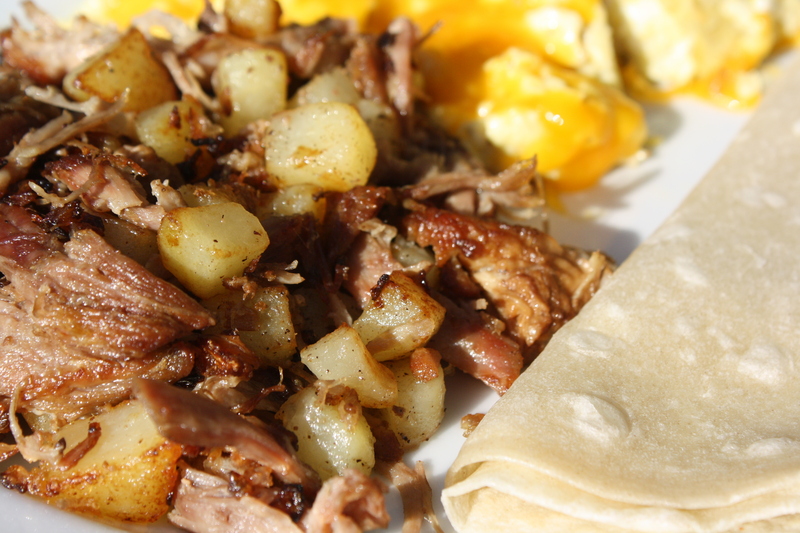 In the same frying pan as I used for the carnitas, I fried up some scrambled eggs in the bit of pork fat left from the carnitas. 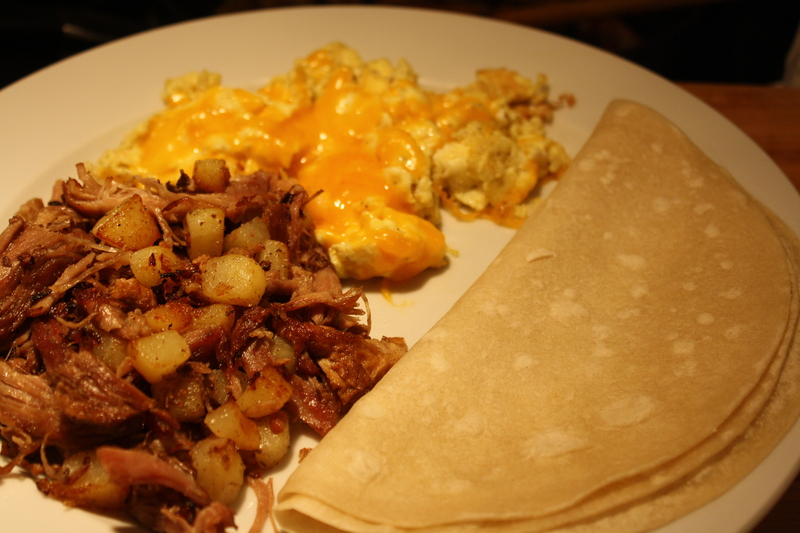 Topped the eggs with some cheddar cheese and served it all with warm flour tortillas. That way my husband could make a breakfast burrito if he wanted to. Happy Friday Everyone! Friday is the day when we must prepare ourselves for the weekend. Friends and family might stop by to say hi, so let’s be ready with a clean house! Clean the kitchen appliances inside and out. (I’ve been ignoring the inside of my microwave for a while) If you have stainless steel, get out the cleaner and shine them up. I know this is not a fun task. I normally put this off, but today it is going to get done. The 10 minute tidy up. Set a timer for 10 minutes (I use my oven timer) and clean until the timer goes off. You would be amazed at what you can accomplish in 10 minutes. Empty all trash cans and take the trash out. You can do it! Have a great day! I wanted to share with you a couple of good deals I got at Target today. While I was there getting a birthday gift I grabbed a couple of things that were to good of a deal to pass up. The first thing was 2 bags of bagels. Go on to targetcoupons.com and print the coupon for $1.00 off two Market Pantry breakfast items. The bagels are regularly $1.24 so after the $1.00 off 2 coupon they end up costing only $0.74 each (must buy 2). While you are on the Target website also print the coupon for the $1.00 off of 2 packs of Extra gum. If you combine that coupon with the $1.00 off 2 packs of Extra Gum manufacturers coupon (found in the smartsource coupon insert in your Sunday paper on 9/25) you will get both packs of gum for free! So for $1.48 you can get 2 bags of bagels and 2 packs of gum! Not Bad! Alright its Wednesday, already middle of the week. Before we know it the weekend will be here! We still have family from out-of-town here visiting and they might stop by at any time to visit so I cannot let my house get away from me. Lets do the 20 item pick up. Start at one end of the house and work your way around to all of the rooms in your house (Living, Family, Kitchen, Bedrooms, Bathrooms, Laundry, Ect. ALL the rooms). Some rooms might not have 20 things that need to be picked up, move on to the next one. Some rooms might have more, that’s O.K. we’ll come back later. I have found that doing this every day helps me to keep up on the whole house. Clean and declutter our desks. Throw away old papers and trash, organize!